You are invited to participate in a study that looks at people’s experiences of hearing loss, and healthcare professionals’ consultation approaches for people with hearing loss. This study aims to provide results that will enhance patients’ quality of life and improve services for patients with a hearing loss. You must consult, as a healthcare professional, with people with marked (severe-to-profound) sensorineural hearing loss that occurred after 5 years of age. 1. Participate in a 1.5-hour focus group discussion that will be facilitated and observed, with notes and an audio-recording of the discussion. If you are unable to attend the focus group, you may be interviewed over the phone/skype or email. You will not be identified in any way, and none of the data used, as a result of the focus group, will include your name. 2. Complete a brief, 3-page questionnaire immediately before or after the focus group discussion, containing non-identifiable information about yourself, and your professional experiences. 3. Complete a brief survey, at a later date, about your professional experience of working with patients who may need cochlear implants. Participants will be provided with a stipend for travel time and participation, as a gesture of appreciation for their time and involvement in the study. The study is being led by Professor Frances Rapport from, Macquarie University (T: 02 9850 2320, E: frances.rapport@mq.edu.au). 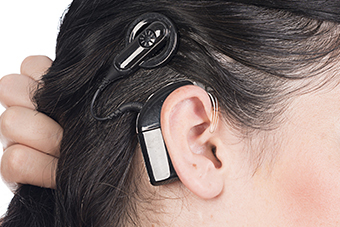 This study is supported by Cochlear Ltd. Please contact Mia Bierbaum, the study researcher, (T: 02 9850 2445, E: mia.bierbaum@mq.edu.au) to express an interest in participating in the study, or for more information about the study.